Robin is a shy, video game-loving nerd. Cat is a cool, giant monster-loving punk. They like each other a lot. So much that they’ll face rude comic book guys, overprotective roommates, and their own insecurities so they can be together. 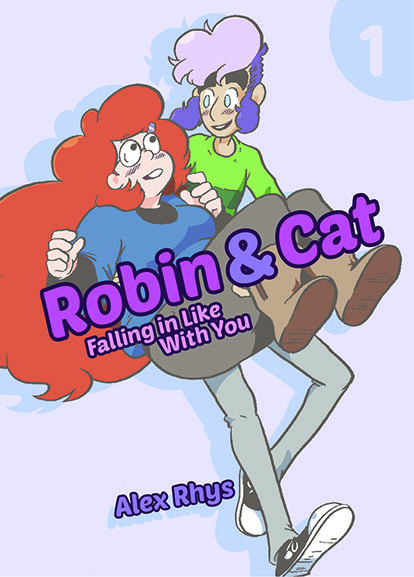 Robin & Cat is a queer romance webcomic, which started in February of 2014. Falling In Like With You collects the first 5 chapters (216 pages).